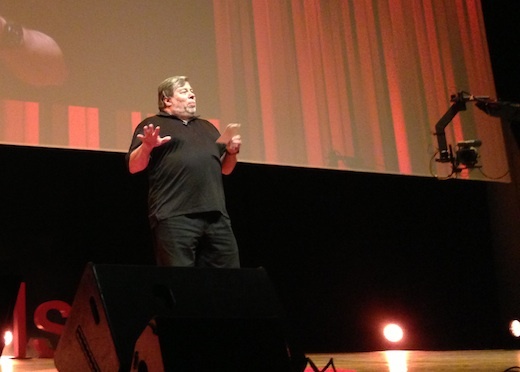 Engineer extraordinaire and Apple co-founder Steve Wozniak was in Belgium today, keynoting the fourth edition of the TEDxBrussels event held at the marvellous BOZAR. Prior to checking in to the (new) Hard Rock Café Brussels on foursquare, The Woz addressed the 2,000-strong audience for a good 15 minutes to talk about education, innovation, openness, the cloud and more. Wozniak didn’t reveal much, other than that he’s training intensively to become the world’s faster talker (at least it seemed that way to me), but the keynote was captivating enough to warrant a post. – This was Wozniak’s first appearance on a TED or TEDx stage, ever. – He too likes to wear black clothing and sneakers, apparently. 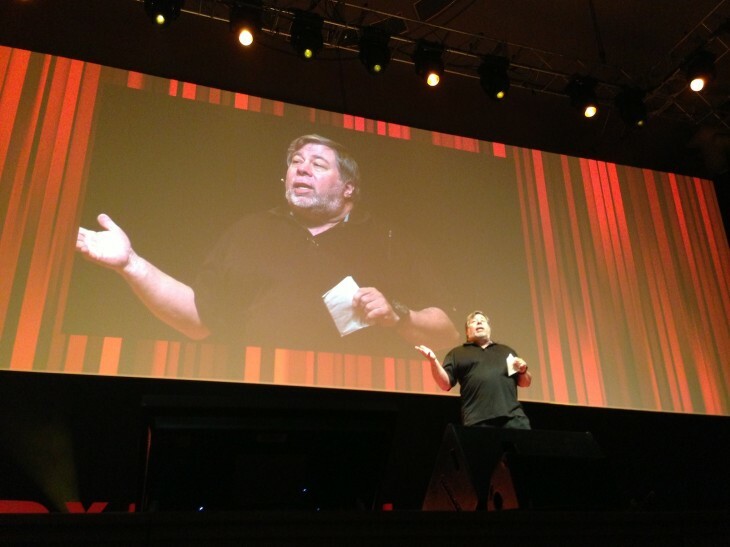 – Woz actually jots down his keynote speech notes on a piece of paper and takes it with him on stage to read from. – Wozniak believes schools stifle children’s creativity, and ultimately, innovation, by imposing too many rules. – He thinks Apple’s iTunes software should be marketed and made available for as many platforms as possible, including Android (which Woz has said before) but also Microsoft’s Windows Phone OS. – He wishes ‘marketing didn’t take over’ at Apple after the Apple I and Apple II came out, because he would have preferred the computers to stay open and ‘more expandable’. – He advocated regular, physical data back-ups because he doesn’t fully trust cloud storage and synchronization services to do that job. Hopefully, the recording of Wozniak’s keynote speech will find its way to TED(x)’s video trove soon. We’ll keep you posted.